Play This CD Now Available! Please check the calendar page on this site for detailed scheduling information. Robert Aronstein is a pianist, organist, vocalist, recording and sound engineer, producer and teacher based in Schenectady, New York. Check out Rob's current performance schedule. Please e-mail Rob to inquire about any of his professional music and entertainment services. Now available - Rob's CD Play This! - just $10 to purchase. Contact Rob or buy at any live performance! Robert Aronstein has been performing in the New York State Capital District for the past 38 years. Currently, he gives solo performances on piano and as a pianist/vocalist; leads jazz duos, trios, and quartets featuring many of the areas finest jazz musicians; and can provide solo piano music or a band tailored to any cocktail hour, party or event. Rob teaches Instrumental Band, Jazz Band, and Guitar at Oneida Middle School in Schenectady, NY, grades 6 - 8, and is an adjunct at The College of Saint Rose teaching Music Technology. Rob was named the Schenectady City School District Teacher of the Year 2014. Rob also provides digital recording services, live sound services, and MIDI programming services. These include mixing and recording live events, recording and producing studio sessions for solo artists and bands making CD's, music for sale on the web, and demo recordings. Rob provides for rental his collection of vintage Hammond Organs, Rhodes, Wurlitzer and Kawai stage pianos, as well as studio and stage microphones and PA equipment. 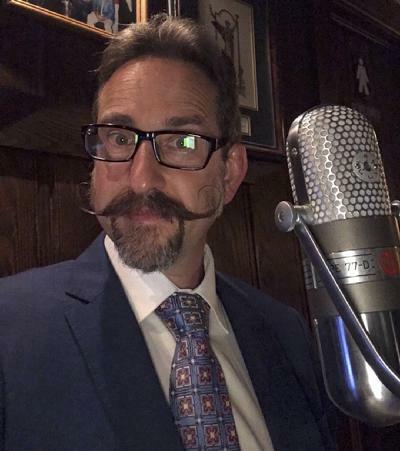 Rob currently performs solo several times each month at The Wishing Well Restaurant; jazz, pop and rock with the Tommy Verrigni Trio, and blues with the Charlie Smith Blues Band. Check out Rob's channel on YouTube! Listen to recordings of Rob with the Tommy Verrigni Trio. Check out the Charlie Smith Blues Band. E-mail Robert Aronstein Or Call (518) 281-6709 for information & pricing.